The JCB Muddy Friends range is for kids that love to play. 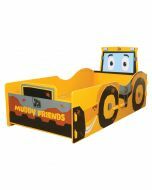 The JCB Muddy Friends bookcase has a fantastic role play element. As you may guess, there is lots of mud splashed all over the place. 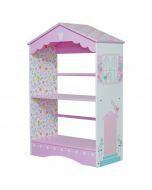 The design is from JCB s latest trend and fits in with all modern bedrooms. 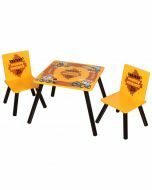 The JCB Muddy Friends range is for kids that love to play. 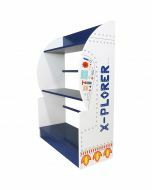 The JCB Muddy Friends bookcase has a fantastic role play element. As you may guess, there is lots of mud splashed all over the place. The design is from JCB s latest trend and fits in with all modern bedrooms. 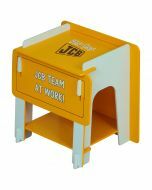 Ideal for books or storage and fits in great with the other items in the JCB range. Comes flat packed for easy home assembly. 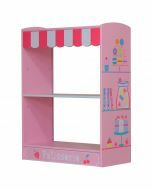 Bookcase Dimensions H.80 x W.60 x D.24cm.